Forty-year-old, never been married stage and TV actress Kelly Lawson returns to her Texas home to choreograph and star in the Glenview Theatre summer season. Kelly’s mother has made a hobby of trailing out every new man in town for Kelly’s inspection, hoping she’ll fall in love and use Glenview as her home base, especially now that Kelly’s father has entered the beginning stages of Alzheimer’s . Two years ago, Kelly broke off an engagement shortly before she discovered her former fiancé dead, a gun in his hand and a hole in his head. Reason enough to guard her heart. When Kelly accuses a Glenview police officer of harassing two of their gay actors, Police Chief Josh Kincaid, her mother’s candidate for this trip, becomes involved in the investigation. Incidents pile up, making it clear someone has it in, not only for the theatre, but for Kelly as well. Josh searches for clues to the person behind the attacks and the reason for them, all the while trying to ignore his developing feelings. How could he trust his heart to a New York actress? The Theatre is about Kelly Lawson who is apparently single and focused woman devoted to her career in the arts. I can sense her struggle and hectic schedule barely have enough time to solely focus on building a family of her own. One thing that I have to say is that when parents get naggy because their child is still single, it can get out of hand. Hard enough to cope with that especially if you are the hope to continue joy in their lives because well, parents will always wonder when will they have grandchildren of their own. Therefore, mother of Kelly and Josh Kincaid started matchmaking them until love just bloomed in itself. One thing I liked about the book (although it took me a couple of months reading and re-reading the book), it has a good plot and character development is really distinct because personally for me, Kelly was doing her best not to mess up her career at the same time being considerate towards Josh's feelings involving her. In a particular moment, I noticed the change in Kelly because at the beginning, she really is kind of immature for her age outside the theatre but inside the theatre, she is also something else altogether. Very knowledgeable in what she do and how she visioned her life to be. On the other hand, the book offers a great point of view from Josh Kincaid as well, which did not disappoint. He is a down-to-earth guy for Kelly and how understanding of him towards every situation whether Kelly is not on the same page as he was when it comes to everything and anything that involves their relationship. 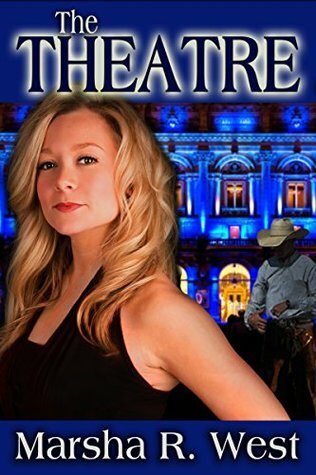 The Theatre is something I definitely have taken the time to read and it was a pleasure to have read it although not my kind of genre. Yet. So, I am really hopeful for the author's future works and you all should be on the look out for that!